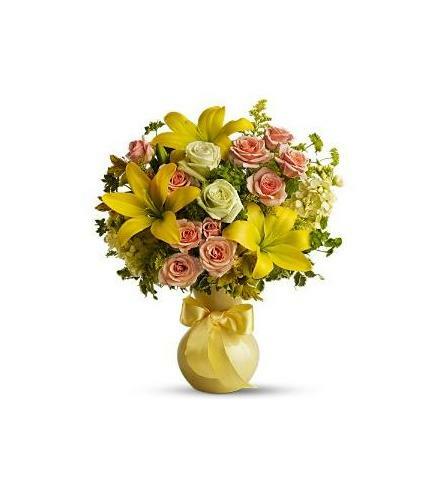 Dazzling green roses, peach spray roses, yellow asiatic lilies, alstroemeria and solidago along with light yellow stock and beautiful leafy greens are delivered in a yellow Serendipity vase. Send a sunny smile today!. Celebrate Easter with the Sunny Smiles.